Being Scottish, I'm aware of the stereotypes often associated with me and my fellow country men and women. Some of these are quite accurate, but others make me laugh. I can't speak for all Scots, but I'm not opposed to the odd drink; I don't mind Irn Bru, and I often say 'wee' and 'aye'. I also swear…a LOT. I don’t, however, eat deep fried mars bars, wear tartan, have ginger hair, and shout: 'FREEEEEDOOOOOM', or say 'och aye the noo’. No one does that. Seriously. 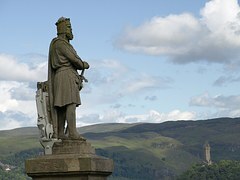 William Wallace - we have his statue literally EVERYWHERE. * Yes, we sometimes speak really quickly. Tell us to slow down - we won't be offended. * No, our weather isn't always wet. It's pretty much the same as it is in North Wales, tbh. With a little more snow, perhaps. * No, we don't like the movie 'Braveheart'. Most of us hate it as it's historically inaccurate and Mel Gibson has the worst. Accent. Ever. * Yes, a large percentage of Scottish men owns a kilt; particularly ones that are married or have ever been in a wedding party. However, not all Scottish men get hitched in kilts – it’s not the law or anything. 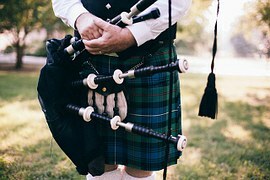 You won't see people walking down the streets in kilts, playing the bagpipes. Unless you're at the Edinburgh Festival, of course. * No, we're not tight. You're mistaking Scots from all corners of the country with Aberdonians. I jest, of course, I don't know if people from Aberdeen are stingy, but I have heard the rumour. * Yes, we know our national teams aren't world beaters, but we have Davis Cup hero, Wimbledon Champ and Olympic Gold Medallist, Andy Murray, so he helps us cope with the football and rugby failures. Also: Chris Hoy, Jamie Murray, and anyone who's ever played curling. * We have no idea why we produce such good football managers, but it amuses us that so many of them work in England because they're too good to work at home. * When we say 'Up North' we, of course, mean Scotland. We don't understand why you mean Newcastle or Liverpool and we'd very much like you to clarify this for us. * We don't know Glaswegians are so friendly, either - they just are. And we bloody love them for it. * Scotland isn’t as small as you think. 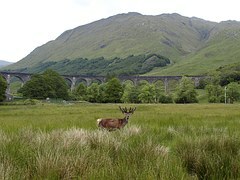 Have you tried to drive from Edinburgh to Skye in less than 6 hours? No, me either. You'd be surprised at how long it'll take you to travel coast to coast, never mind north to south. It takes a LOT longer if you get stuck behind a caravan on a narrow road in the summer. * No, we don't know Wee Mary from Whiteinch. We might be small, but there are still more than 5 million of us and we’re not all on first name terms. * No, we don't hate English people. I live with one, so I'm personally extremely partial to them. We all have family/friends/work colleagues who are English and we love them dearly. We do love a bit of banter with them, though. * However, we DO get annoyed when we see ‘British’ reports that only include England and watch the weather only to realise the forecast doesn’t extend any further north than London. We don’t care what the weather’s like in London, but it’d be great if you could tell us if we’re likely to be blown off the Forth Road Bridge by high winds on the way to our caber tossing class in Kirkcaldy. 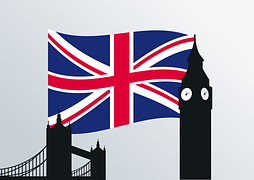 The GB flag, Tower Bridge and Big Ben in London. Don't forget about the Scots, Welsh and Northern Irish - we're great too! No, we don’t all have a specific tartan for our family name. Don’t get me wrong LOTS of us do, but most of us don’t really concern ourselves with that kind of thing. Many of us who choose to wear tartan may not even know which one it is. Alternatively, we choose the tartan in our football club colours.